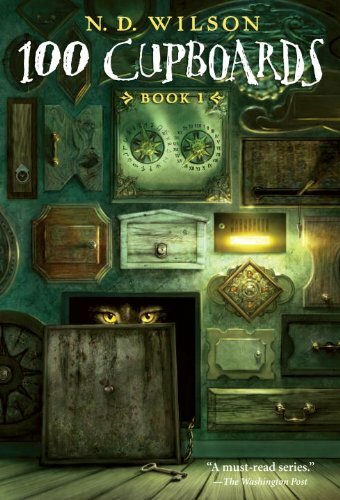 100 Cupboards by N.D. Wilson is a fantasy novel for middle grade readers about a 12 year old boy called Henry who discovers hidden cupboards in the walls of his attic bedroom. With the help of one of his cousins, Henry soon discovers the cupboards of varying shape and design are portals to other places. This intriguing premise led me to borrow this from the library, however unfortunately the novel didn't live up to my expectations. The protagonist sharing the same name as the town (Henry) and a cousin by the name of Henrietta created unnecessary confusion for no discernible gain. The first in a series of at least three books, 100 Cupboards was a good read but not a stand out. Well I haven't read the book yet but I believe that it was some kind average book from all the reviews that I read from it. Hope that this will be worth reading anyhow. 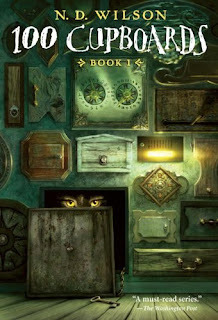 I'm sure there are readers out there who adore this series, unfortunately I'm not one of them.